Disney’s FROZEN has quickly become one of my favorite movies of all time. I’ve already seen it 3 times, bought all the merchandise I could get my hands on and even made a Christmas tree dedicated to FROZEN. The only problem with that was the shortage of ornaments to put on the tree. 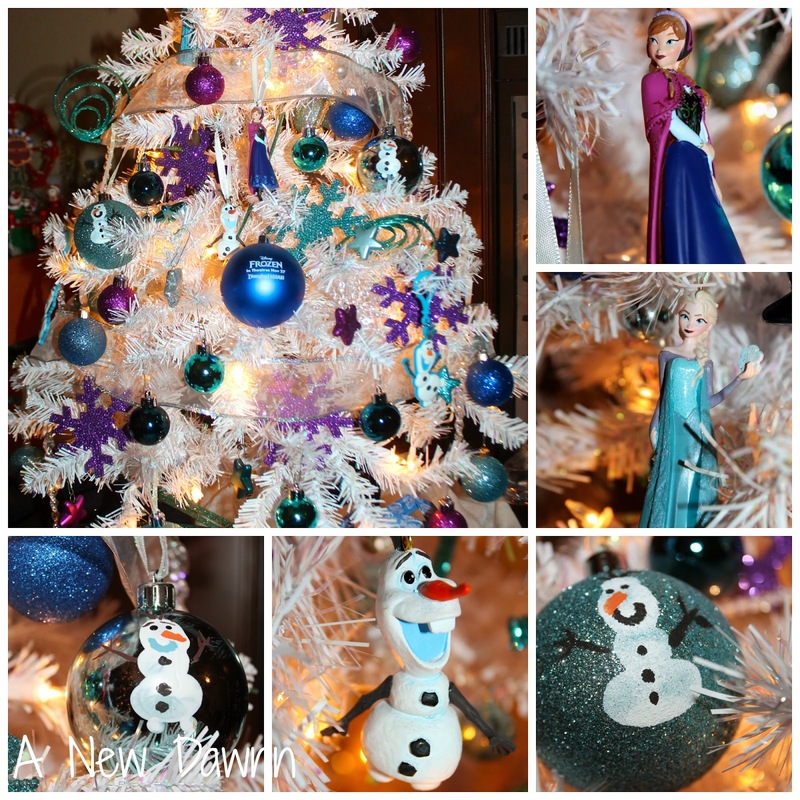 There weren’t many FROZEN themed ornaments made this year. My little guy did surprise me with the boxed set from the Disney Store as a present and they were perfect on the tree but I wanted more. So we made our own DIY Olaf fingerprint ornaments. Once the mouth is dry, paint on Olaf’s teeth to complete his smile. We made a bunch of these ornaments to hang all over the tree and to give to our family and friends who love the movie as much as we do. We made them in all different shades of blue. Big and small. I love how they look on the tree. They were just what the tree was missing. Each one is a little different but I love that I will have these for years to come and I’ll be able to remember just how small his fingers were. Here they some of them hung on the tree. Even Olaf himself approves! Here is a complete view of the tree. I loved this tree so much I may have to make it bigger next year! Love this craft? PIN IT for later! This look so nice. My children are hounding me to see frozen so they would love these. This is so cute! It'd be fun to get the whole family to decorate it! such a cute idea! my daughter would love to make these for christmas!